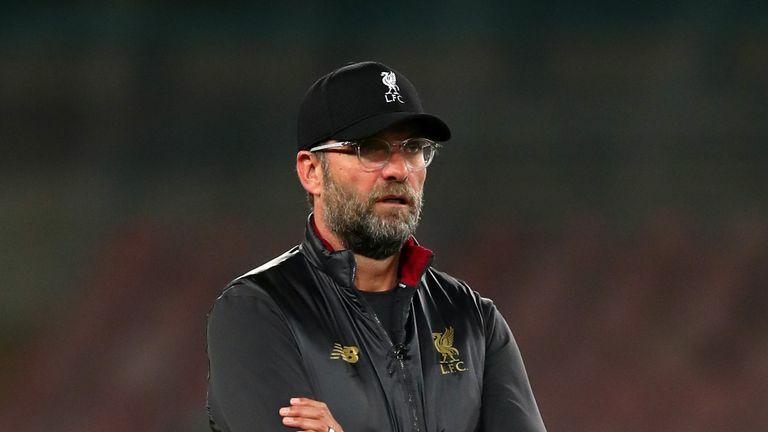 Jurgen Klopp has dismissed talk of Liverpool being able to challenge Manchester City for the Premier League title ahead of their meeting at Anfield on Sunday. The two sides are both unbeaten in the league and are currently separated by just goal difference at the top of the table. Champions City have not won away at Liverpool for 15 years, including losing 4-3 to Klopp's team in January, and a repeat of that result would hand the Reds an early advantage over their rivals. 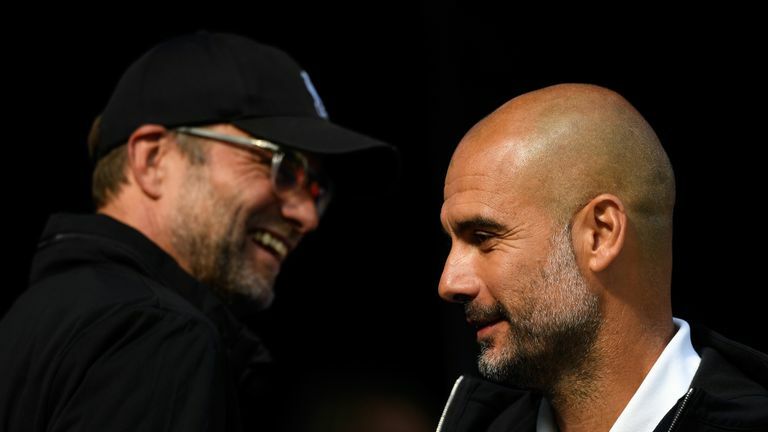 But, speaking on Friday, Klopp was keen to point out that it is still early in the season and he anticipates another impressive run from Pep Guardiola's side. "I don't think it makes sense at this moment to think about the title. There are a lot of games to play," Klopp said. "But, it is a home game against Manchester City and that is a tough one. Last year they were really special and I expect them to be like this again. "Teams that play like them can lose focus, but it never happened to City last year so they have all my respect. "We have to be on our best to keep them away from our and create some chances in front of their goal." Manchester City manager Pep Guardiola says Liverpool are one of the greatest sides in England. Liverpool suffered late heartbreak in the Champions League on Wednesday after Lorenzo Insigne's 90th-minute winner handed Napoli a 1-0 win, but Klopp says the disappointment will only spur his players on. "We have to start anew," he said. "This is a different opponent and a different challenge - an even bigger one. "My faith in the team is so great. We want to show a reaction. "I didn't want to lose at Napoli but if you ask me what is the best preparation mood-wise, it is losing a game. "We don't want to have that feeling again." 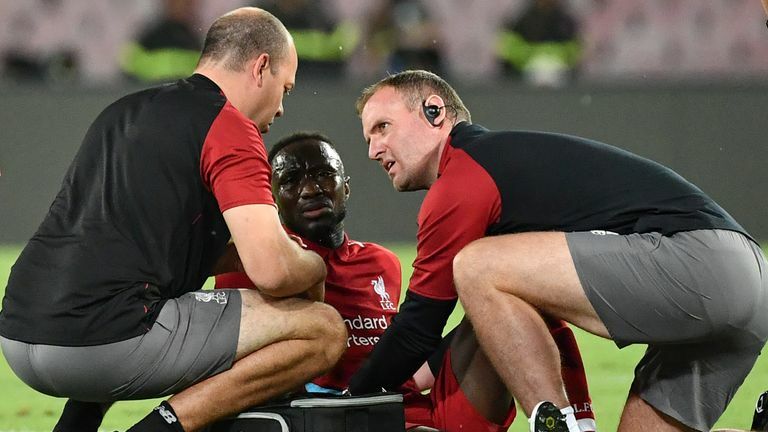 Liverpool manager Jurgen Klopp says they have to wait on the fitness of Naby Keita after he suffered back spasms against Napoli in the Champions League.